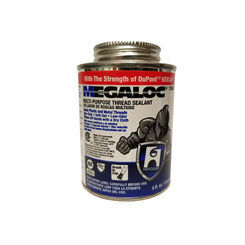 PlumbersStock offers a wide selection of thread sealant to ensure the best bond for your plumbing and irrigation projects. 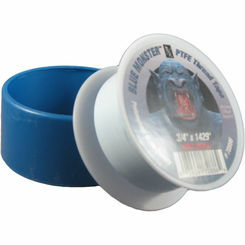 The best pipe dope can make all the difference, and you can get it at a discounted price. 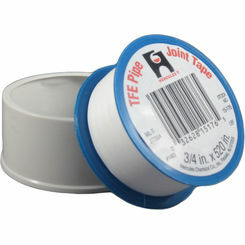 Our customers also love teflon tape because how convenient and effective it is to use. 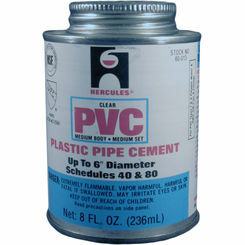 It should be mentioned that we do not recommend pipe dope for plastic or PVC pipe. 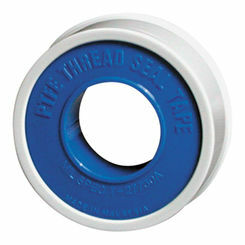 At its core, Teflon tape is an easy-to-use, thread-seal tape. 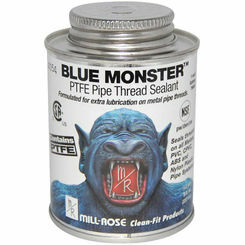 Like pipe thread compound, it makes pipes that have threads more secure, making it the perfect product for plumbers. 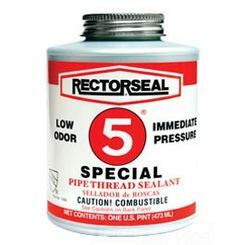 However, unlike thread sealant, it actually is sold as a tape, making it extremely easy to use and the preferred product for most plumbers. 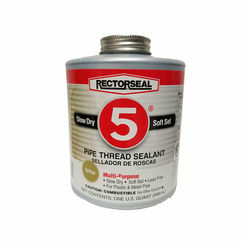 In addition to providing a waterproof seal, it also performs a lubricating function, defeats friction, and allows the threads to be screwed together to the point of deformation (the act that provides the seal). 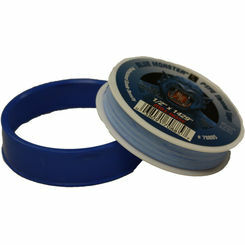 As alluded to above, Teflon adhesive tape’s primary use is to seal pipe threads. 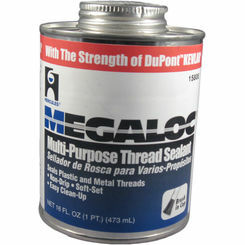 All you need to do is wrap the tape around the threads, screw the seal, and you’re done; the seal is complete. But, there are a few things that you should keep in mind when using it; follow these tips to make sure the job gets done right! 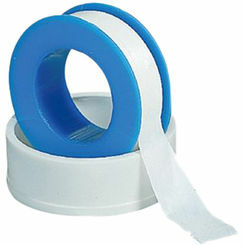 Use as much tape as you can: The more tape you use, the better the seal will be. With that in mind, don’t skimp on the tape! Wrap it 4 to 6 times so you can make absolute sure you get the seal that you need. 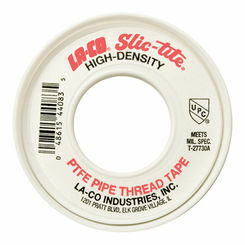 Do not Use on PVC: Teflon pipe tape is not useful on PVC whatsoever; in fact, it could make things worse. 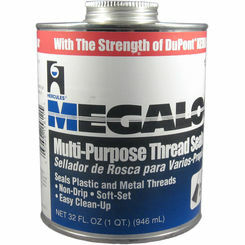 Make sure only to use Teflon tape on metal pipes. Don’t Fray the Tape: Frayed tape, unfortunately, can experience structural integrity issues which may cause the seal to break. Thus, if you accidentally rip or fray the tape, then simply cut it off and try again. It may end up saving you some money when all is said and done. 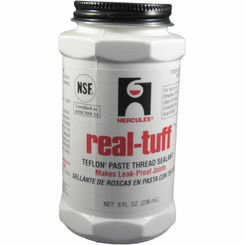 Do not use on straight threads: Remember that Teflon pipe tape is only effective on tapered threads, not straight ones. 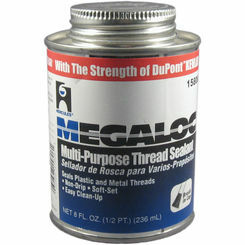 Use Thread compound if you have straight threads! Pipe dope is an integral part of a piping system. 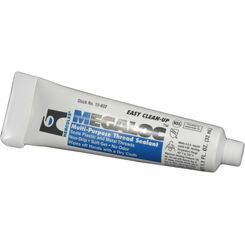 Used to achieve a waterproof and pressure tight seal, it is invaluable in a plumber’s work. 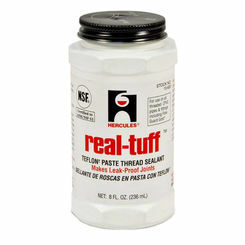 We have all the best brands—from Real-Tuff to Hercules and more—so you can get the job done right. Even better, with some of the lowest prices on the internet, you won’t have to worry about breaking the bank! Now that you understand what is pipe dope, there is another important question. Why Do I Need Pipe Dope? For the most part, pipes are pretty watertight. Because they are built in solid pieces, there’s no wiggle room for the water to escape; however, the moment you begin connecting multiple pieces of pipe, this is no longer the case. Even with anchoring glue, the seams between pipes are inherently not water tight, which can cause leaks, drips, and—worst of all—water damage to the surrounding area. 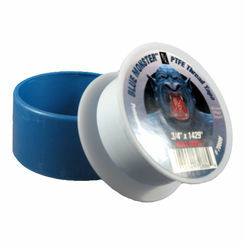 With the best pipe dope, you can make sure that water stays where it’s supposed to, filling the minute voids between threads and making the joint pressure AND watertight. On top of this, pipe dope also helps prevent the seizing of mating parts by acting as a lubricant, making it a very important part of piping systems. Pneumatic: Pneumatic pipe dope is used in pneumatic systems, meaning it is specially designed to deal with moving parts. 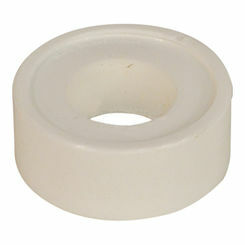 It creates low pressure seals and is very important in HVAC and mechanical industries. 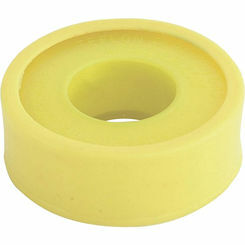 Caustic: Pipe dope used in caustic scenarios is designed to deal with corrosive substances, such as acids or chemicals. Buy only if you expect the pipes you are using to come into contact with such substances. Without a doubt, if you are looking for high quality plumber's pipe dope, or if you simply need more information so you can make a more educated choice, PlumbersStock is your place. We offer a wide variety of pipe dope products so you can find the one that works for you, in addition to some of the most helpful customer service representatives around! We know we can help you, so contact us or buy today! You will be happy you did. 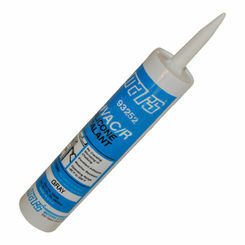 Shop and save on plumbing glues and adhesives, and more.